In late March and early April these Yellow Thistles were blooming in the pasture. The plants stand about a foot and a half tall (a half meter), and I would say the blooms are about 3 inches across (7.5 cm). 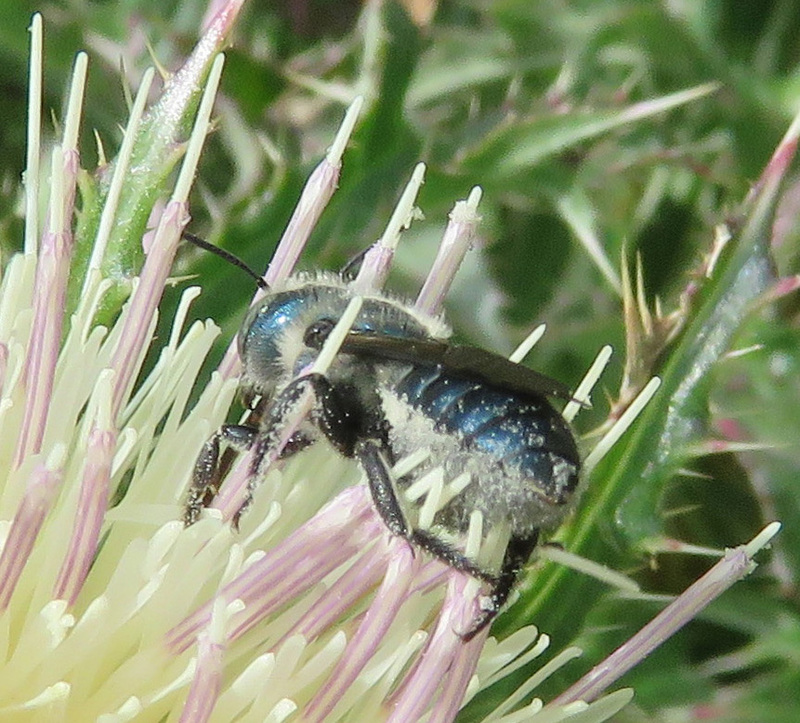 One of its visitors was this metallic blue bee, which may be the Blue Orchard Bee, Osmia lignaria. 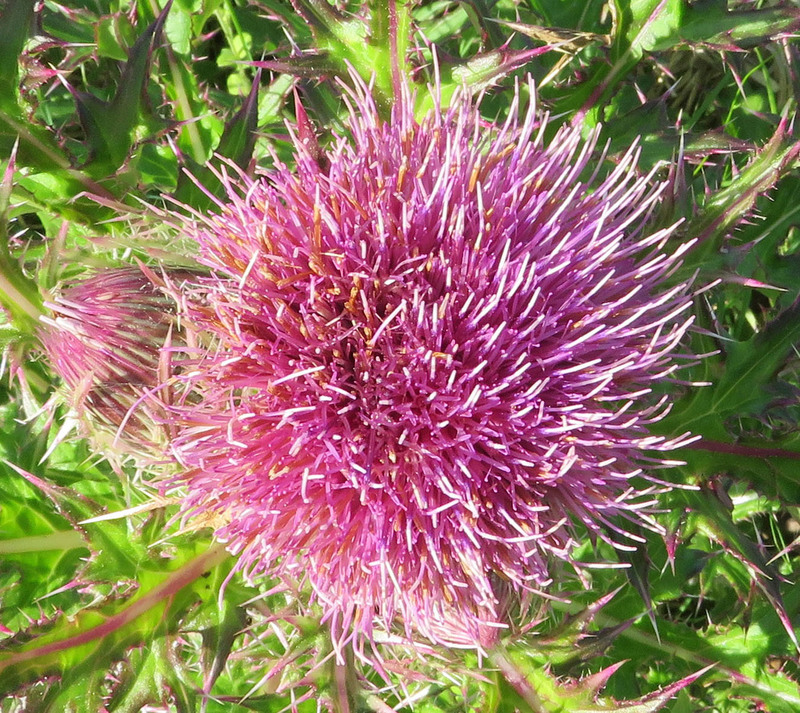 Its Discover Life species page does show that the cirsium family serves as one of its many host plants. Its BugGuide page says that it is active in the spring. I wish I had been able to get a better picture of its face. Or it might possibly be Osmia ribifloris, but I didn’t get good enough pictures for positive identification. I believe this is a Blue Orchard Bee, either Osmia lignaria or Osmia ribifloris. About one in ten of the plants had a pink/purple bloom. 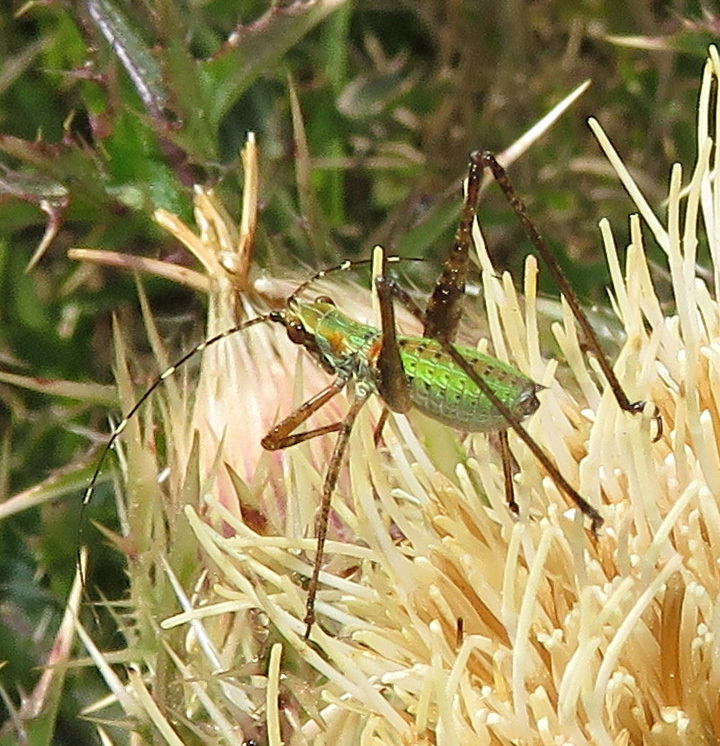 A Bush Katydid nymph, Scudderia sp. 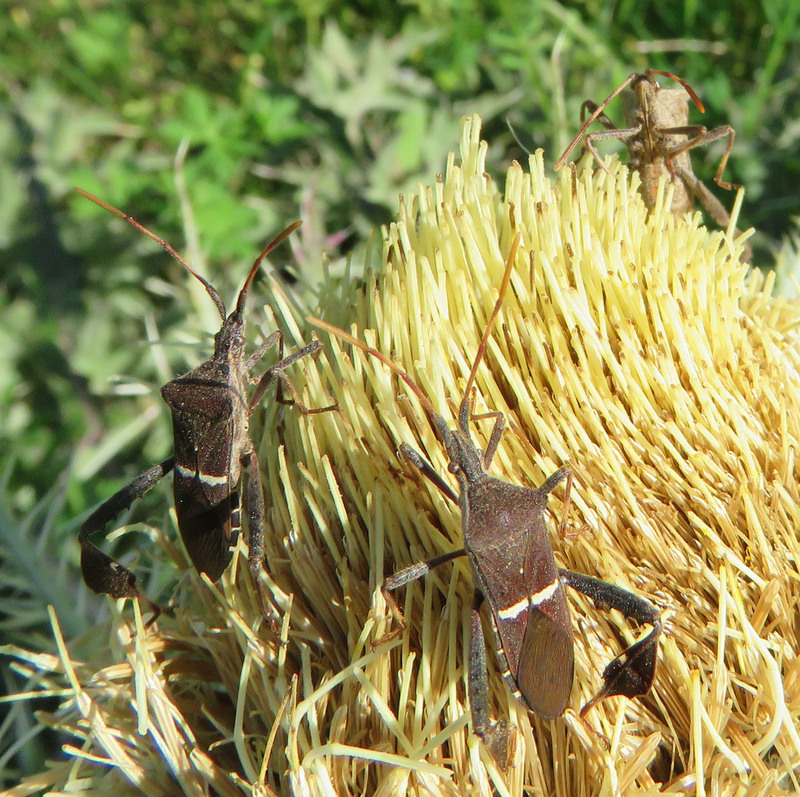 A convention of Eastern Leaf-footed Bugs, Leptoglossus phyllopus. 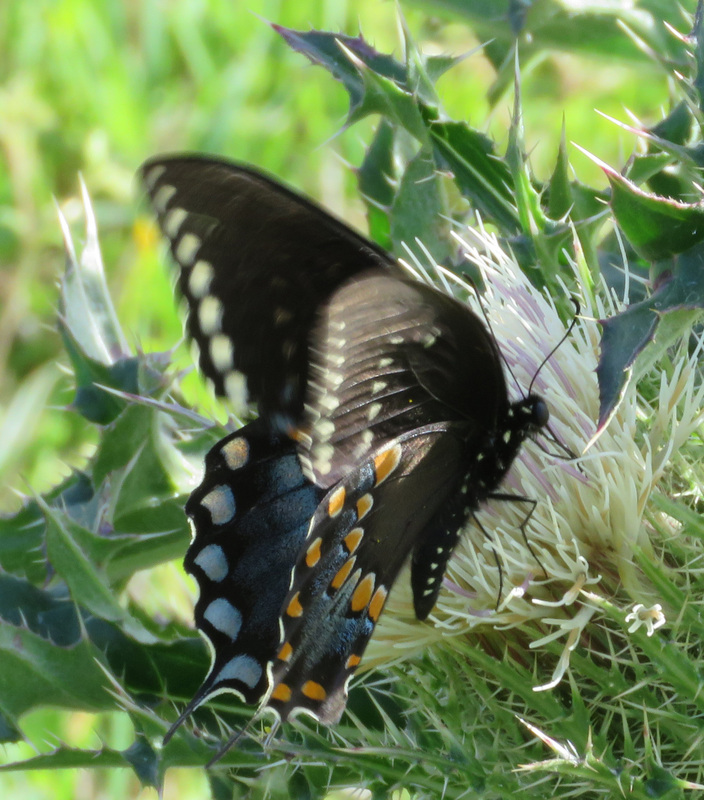 A Spicebush Swallowtail, Pterourus troilus. The plants are considered a nuisance, but with all the insect life availing itself of their resources, I couldn’t bring myself to dig them up. Yes, and they were out there before anything else was blooming. I never noticed that before. We had a really cool spring, I will have to pay attention to the timing next year and see if the same thing happens. Thanks for commenting! 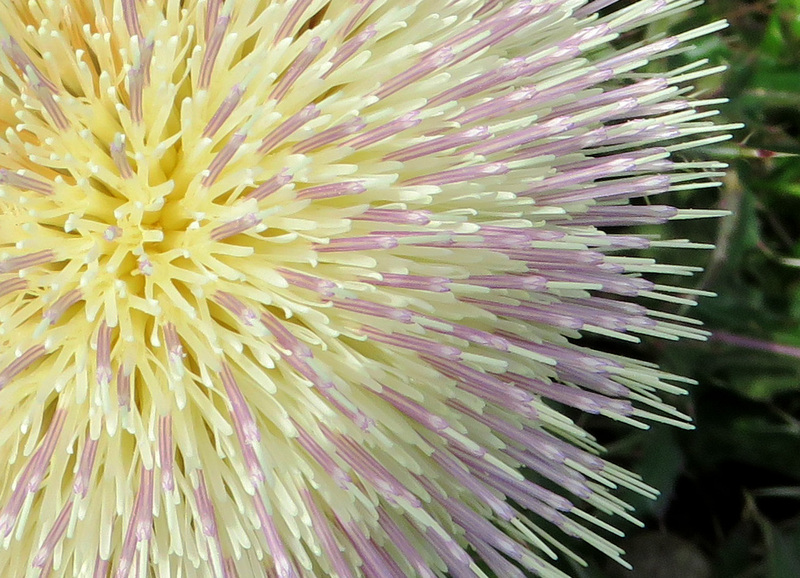 I love plants that the insects (and other critters) love! Great shots!